"There are no right or wrong answers, only what is the most true for you at this very moment in life." "...what is most true for you at this very moment in life." "Most true for you at this very moment in life"? That logic is absurd. Something is either true or not. It makes no difference how I feel or what I think. For example, if I go into a store and ask a question about how to operate my I-Phone, and then after receiving an answer, I respond "Listen, at this very moment in life I don't find your response most true for me," I might find the attendant looking at me as if I was crazy. Frankly, I would be crazy - or at best illogical. 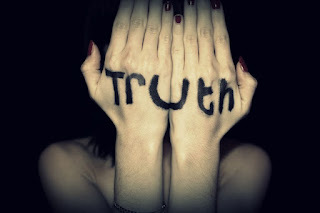 Truth is truth; and the only real fix for life is to know the truth. Jesus said, "You shall know the truth, and the truth will set you free" (John 8:32). When seeking directions we are often given landmarks. "Look for the McDonald's on the corner and turn right, then pass the Jewish Synagogue and turn left..." When giving directions, one better be certain about the landmarks or the person receiving directions will end up lost. Our Christian forefathers were very particular about maintaining landmarks of truth. They had strong notions about fixed points of revealed doctrine, and they held tenaciously to what they believed to be biblical truth. Modern progressives (liberals) have abandoned landmarks of truth, and as a result people can't find the Way (Acts 9:2). "Truth is not a lump of wax to be shaped at your will, or a roll of cloth to be cut according to the prevailing fashion. The Scriptures are not a box of letters to play with, and make what you like of it, like a wizard's bottle, out of which you may pour anything you choose from atheism up to spiritualism. There is something told me in the Bible—told me for certain— not put before me with a "but" and a "perhaps," and an "if," and a "maybe," and fifty thousand suspicions behind it. The Bible is revealed to me as infallible fact, which must be believed, the opposite of which is deadly error, and comes from the father of lies." The Bible - God's inspired word which will never lead one astray (e.g. it is infallible). The Triune God - God the Father, the Son and the Holy Spirit is three Persons, but one God. Christ's Atonement - the only hope for sinners to be right with God is through Christ's sacrifice. The New Birth - moral reformation is not enough; God's deliverance is a new birth within. The Evil of Sin - God will judge the wicked for their sins against Him and their fellow man. Salvation by Grace - Christ has done for sinners what sinners cannot do for themselves. Justification by Faith - Being right with God involves looking to Christ by faith; not one's own works. These seven truths are inherent to the Good News, or the Gospel. God has not left us in the dark; He has spoken to us in His Word. The Father, the Son and the Spirit is at work in delivering sinners from our sin. Christ saves sinners by becoming their substitute; dying in their stead, bearing our sin and the just consequence of our sin (e.g. "death"). When one comes to faith in Christ, the Spirit "regenerates" (e.g. "makes alive") the inner heart of the believer and grants the gift of "eternal life." This new birth from above begins the transformation of the sinner from the inside/out. This changed life of one in Christ is all by the grace of God, for God is at work in me "both to will and to do His good pleasure" (Philippians 2:13). When we proclaim the Gospel, we proclaim truth that sets people free. We proclaim the Good News as the mind of God, not our views. The testimony of Jehovah concerning His own Son in reference to the deliverance of sinners is true. We are entrusted with declaring the truth. We cannot alter it to suit the taste of the hearer. We are not originators of the Good News; we are broadcasters of it. We don't make the news; we meme it. What we've been taught of God, we teach. If I send a message via my secretary, but she alters the message, then she is no longer fit to be my secretary. I need a secretary who will say word for word the message I give. If any one should be angry with my faithful secretary for what was said, then they would be wrong; for their quarrel lies with me. My secretary is a mouthpiece for me; Christians are a mouthpiece for God. The Christian who has God's Word must speak it faithfully as truth. In addition, there is no surer method of turning people against God's truth than to have it spoken from the lips of those with suspicious. sullen, or shallow character. Spurgeon said, "It is very ridiculous to hear good truth from a bad person; it is like flour in a coal-sack." Our challenge in a world that needs Jesus Christ is to live lives that reflect the true character of regenerate people - loving, kind, generous, selfless, patient, etc.- in essence, Christ-like - and to keep speaking unalterable truth to people in need of direction! 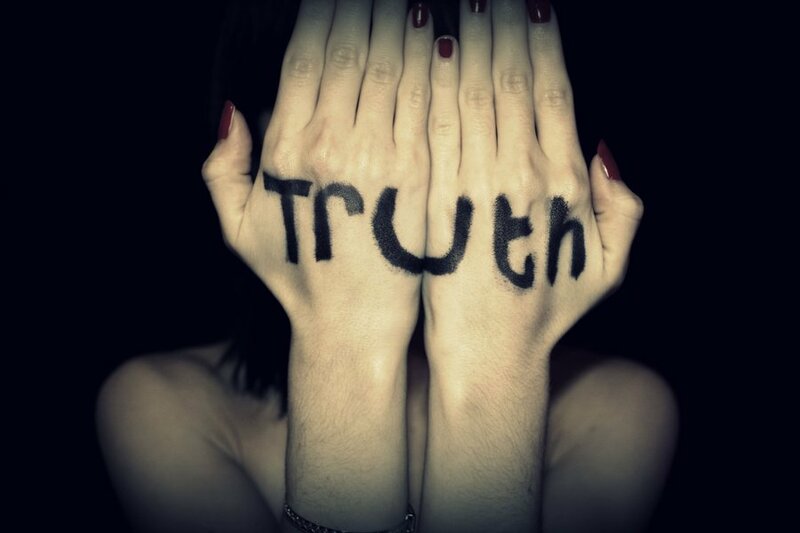 Truth spoken from the lips of those transformed by Truth is transformational in and of itself. As messengers of the Message, we can't alter the truth. Believe it. Live it. Teach it. It's the only way a mom will be free to be the mom God created her to be. The true answer for me depended on my situation in that moment of my life. An example of the woman’s statement would be the event my Dad (Captain) received a ‘ticket’ by a Military Police Sergeant for having his jeep-top up when there was danger from enemy fire and the top would receive attention. My Dad was carrying many Bibles and argued they would get wet, but he took the top down. “Then I’m putting it back up”; and drove off with it up. BTW, The Cornel always threw his tickets in the trash. Does the truth ALWAYS set a person free? This week, my cousin with Alzheimer’s asked where her husband was. He died years ago. Should she be told the truth or should the subject be changed? My mother was 94 and asked the same question. She was hurt like it had just happened. “Ron Wyatt did find the Ark of the Covenant in 1982 right below where Jesus Christ gave his life on the cross. The Ark had been placed in this secret location 600 years earlier as instructed by God. When the solider pierced the side of Jesus, an Earthquake split the rock that the cross was placed upon and Jesus' blood ran down through this crack and dripped on the mercy seat of the Ark of the Covenant! All of this information has been suppressed by governments and even religious leaders around the world. When Ron Wyatt collected some of this blood from the Ark and had it analyzed, the Israeli scientists were amazed at what they saw! To their astonishment this blood was still alive! The cells were still dividing when they put it in a growth medium. They were also able to get a chromosome count which is not supposed to be possible on dried blood because it's dead. This blood was different than any human blood ever seen. Many people with devious motives have tired to disparage Ron Wyatt's work and say that he wasn't qualified to make these discoveries but his work has never been disproved! Ron Wyatt also said that he met the four Angels that were guarding the Ark of the Covenant. These Angels lifted the 900 pound solid gold lid and allowed Ron to take out the 10 Commandments. They allowed him to videotape the Ark and the 10 Commandments. He was told that his videotape proof would be released at the time when the Mark of the Beast system was implemented fully that would make Christians break the 10 Commandments. Rex Ray does not believe the mumbo jumbo above. 1. If Wyatt found the Ark, where is it today? 2. If blood was dripping through a crack, wouldn’t someone notice? 3. “The blood was alive!” Where is it today? 4. Wyatt wrote 222 words explaining how Jesus became a male in the egg of Mary. But the Bible explains how Mary became pregnant: “You will conceive and give birth to a son…The Holy Spirit will come upon you and the power of the Most High will overshadow you. So the baby to be born will be holy, and he will be called the Son of God.” (Luke 1: 31-35 NLT) In other words the angel told Mary that God was transferring His Son from heaven to her. No part of Mary had anything to do with her being pregnant. She was the first surrogate mother. 5. “Wyatt’s work has never been disproved!” How do you disprove a dream? 7. How many hundreds of years will it be before his videotape can be seen? 8. If 10 people were killed, why was Wyatt not killed? 9. If the location was solid rock, how were holes dug that held three crosses? If Thomas McCall believed Ron Wyatt found the Arc in 1982, McCall would not have written in 1997 the Arc was on Mount Nebo. I believe God has reasons for keeping Noah’s Ark and Ark of the Covenant hidden. Since the location of Moses is unknown on Mount Nebo, and the Ark may be on the same mountain maybe they’re together. I believe Wyatt embraced Hitler’s theory: tell a lie big enough and people will believe it. That was some weird stuff you copied for us. Weird is right. We had a visiting preacher attend the men’s Bible study Monday night. With all sincerity he hit us with the ‘mumbo jumbo’. He showed pictures and text on his cell phone. I was shocked how some were buying it. Where can i find Spurgeon's Seven Truths? Are they from a sermon?